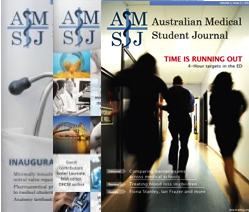 Sadid is a final year medical student at Monash University. He has a variety of interests, with particular passion for infectious diseases, public health and medical education. This case report describes a previously healthy male patient with a subacute presentation of severe constitutional symptoms, progressing to acute pulmonary oedema, and a subsequent diagnosis of blood culture negative endocarditis with severe aortic regurgitation. Blood culture negative endocarditis represents an epidemiologically varying subset of endocarditis patients, as well as a unique diagnostic dilemma. The cornerstones of diagnosis lay in careful clinical assessment and exposure history, as well as knowledge of common aetiologies and appropriate investigations. The issues of clinically informed judgement and having a systematic approach to the diagnosis of these patients, especially within an Australian context, are discussed. Aetiological diagnosis of these patients modifies and directs treatment, which is fundamental in minimising the high morbidity and mortality associated with endocarditis. Mr NP was a previously healthy, 47 year old Caucasian male who presented to a small metropolitan emergency department with two days of severe, progressive dyspnoea which was subsequently diagnosed as acute pulmonary oedema (APO). This occurred on a three month background of dry cough, malaise, lethargy and an unintentional weight loss of 10 kilograms. Apart from the aforementioned, Mr NP’s history of the presenting complaint was unremarkable. In the preceding three months Mr NP was previously treated in the community for pertussis and atypical pneumonia, resulting in no significant improvement. Notably, this therapy included two courses of antibiotics (the specifics unable to be remembered by the patient), with the latest course completed the week prior to admission. He had no relevant past medical or family history, specifically denying a history of tuberculosis, malignancy, and heart and lung disease. There were no current medications or known allergies; he denied intravenous or other recreational drug use, reported minimal alcohol use, and had never smoked. Mr NP lived in suburban Melbourne with his wife and children. He kept two healthy dogs at home. There had been no sick contacts and no obvious animal or occupational exposures, although he noted that he occasionally stopped cattle trucks on the highway as part of his occupation, but had no direct contact with the cattle. He recently travelled to Auckland, New Zealand for two weeks, two months prior. There were no stopovers, notable exposures or travel throughout the country. During the initial assessment of Mr NP’s acute pulmonary oedema, blood cultures were drawn with a note made of oral antibiotics during the preceding week. A transthoracic echocardiogram (TTE) found moderate aortic regurgitation with left ventricular dilatation. A subsequent transoesophageal echocardiogram (TOE) noted severe aortic regurgitation, a one centimetre vegetation on the aortic valve with destruction of the coronary leaflet, LV dilation with preserved ejection fraction greater than 50%. Blood cultures, held for 21 days, revealed no growth. Empirical antibiotics were started and Mr NP was transferred to a large quaternary hospital for further assessment and aortic valve replacement surgery. Table 1. A suggested schema for assessing exposures to infectious diseases during the clinical history, illustrated using the commonly used CHOCOLATES mnemonic. Examination of Mr NP, after transfer and admission, showed an alert man, pale but with warm extremities, with no signs of shock or sepsis. Vital signs revealed a temperature of 36.2°C, heart rate of 88 beats per minute, blood pressure of 152/50 mmHg (wide pulse pressure of 102 mmHg) and respiratory rate of 18 breaths per minute, saturating at 99% on room air. No peripheral stigmata of endocarditis were noted, and there was no lymphadenopathy. Examination of the heart and lungs noted a loud diastolic murmur through the entire precordium, which increased with full expiration, but was otherwise normal with no signs of pulmonary oedema. His abdomen was soft and non-tender with no organomegaly noted. Table 2 shows relevant investigations and results from Mr NP. Table 2. Table outlining the relevant investigation results for Mr NP performed for further assessment of blood culture negative endocarditis. Tissue Microscopy and Culture Gram positive cocci seen. No growth until date. Vancomycin for staphylococcus and resistant gram positive bacteria. During his admission, doxycycline was ceased after negative serology testing and microscopy identifying gram positive cocci. Benzylpenicillin was changed to ampicillin after a possible allergic rash. Ceftriaxone, ampicillin and vancomycin were continued until the final 16S rRNA result from valvular tissue identifying Streptococcus mitis, a viridians group Streptococci. The patient underwent a successful aortic valve replacement (AVR) and was routinely admitted to the intensive care unit (ICU) post cardiac surgery. He developed acute renal failure, most likely due to acute tubular necrosis from a combination of bacteraemia, angiogram contrast, vancomycin, and the stresses of surgery and bypass. Renal functional gradually returned after resolution of contributing factors without the need for removal of vancomycin, and Mr NP was discharged to the ward on day six ICU. Clinical improvement was seen in Mr NP, as well as through a declining white cell count and a return to normal renal function. He was discharged successfully with Hospital in the Home for continued outpatient IV vancomycin for a combined total duration of four weeks and for follow up review in clinic. 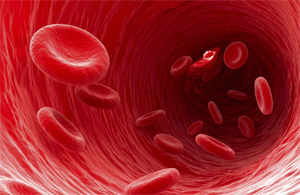 There is an old medical adage, that “persistent bacteraemia is the sine qua non of endovascular infection.” The corollary is that persistently positive blood cultures is a sign of an infection within the vascular system. In most clinical situations this is either primary bacteraemia or infective endocarditis, although other interesting, but less common differentials, exist (e.g. septic thrombophlebitis/Lemierre’s Syndrome, septic aneurysms, aortitis, etc.). Consequently, blood culture negative endocarditis (BCNE) becomes both an oxymoron, and a unique clinical scenario. Q Fever (Coxiella burnetii) Zoonosis: contact with farm animals (commonly cattle, sheep, and goats). Farmers, abattoir workers, veterinarians, etc. Check for vaccination in aforementioned high risk groups. Bartonella spp. Zoonosis: contact with cats (B henselae); transmitted by lice, poor hygiene, homelessness (B quintana). Mycoplasma spp. Ubiquitous. Droplet spread from person to person, increased with crowding. Usually causes asymptomatic or respiratory illness, rarely endocarditis. Legionella spp. Usually L pneumophila; L longbeachae common in Australia. Environmental exposures through drinking/inhalation. Colonises warm water, and soil sediments. Cooling towers, air conditioners, etc. help aerosolise bacteria. Urinary antigen only for L pneumophila serogroup 1. Usually respiratory illness, rarely endocarditis. Tropheryma whipplei Associations with soil, animal and sewerage exposures. Wide spectrum of clinical manifestations. Causative organism of Whipple’s Disease (malabsorptive diarrhoeal illness). Fungi Usually with Candida spp. Normal GIT flora. Associated with candidaemia, HIV/immunosuppression, intravascular device infections, IVDU, prosthetic valves, ICU admission, parenteral feeding, broad spectrum antibiotic use. Associated with larger valvular vegetations. HACEK organisms* Haemophilus, Actinobacillus, Cardiobacterium, Eikenella, and Kingella spp. Fastidious Gram negative rods. Normal flora of mouth and upper GI. Associated with poor dentition and dental work. Associated with larger valvular vegetations. Streptococcus viridans group* Umbrella term for alpha haemolytic streptococci commonly found as mouth flora. Associated with poor dentition and dental work. Streptococcus bovis* Associated with breaches of colonic mucosa: colorectal carcinoma, inflammatory bowel disease and colonoscopies. Staphylococcus aureus* Normal skin flora. IVDU, intravascular device infections, post-operative valve infections. IVDU – Intravenous drug user; GIT – Gastrointestinal tract. 16S ribosomal RNA (rRNA) gene sequence analysis and 18S rRNA gene sequence analysis are broad range PCR tests, which can be used to amplify genetic material that may be present inside a sample. Specifically, it identifies sections of rRNA which are highly preserved against mutation, and are specific to a species of organism. When a genetic sequence has been identified, it is compared against a library of known genetic codes to identify the organism if listed. 16S identify prokaryotic bacteria, and 18S is the eukaryotic fungal equivalent. These tests can play a fundamental role in the identification of aetiology where cultures are unsuccessful, although they must be interpreted with caution and clinical judgement, as they are highly susceptible to contamination and false positives due to their high sensitivity. [11-13] Importantly, antibiotic sensitivity testing is unable to be performed on these results, as there is no living microorganism isolated. This may necessitate broader spectrum antibiotics to allow for potential unknown resistance – as was demonstrated by the choice of vancomycin in the case of Mr NP. The best use of 16S and 18S rRNA testing in the diagnosis of BCNE is upon valvular tissue; testing of blood is not very effective and not widely performed. [2,11,13] Notwithstanding, 18S rRNA testing on blood may be appropriate in certain situations where first line BCNE investigations are negative, and fungal aetiologies become much more likely. This can be prudent given that most empirical treatment regimes do not include fungal cover. Fournier et al. suggested the use of a Septifast© multiplex PCR (F Hoffmann-La Roche Ltd, Switzerland) – a PCR kit designed to identify 25 common bacteria often implicated in sepsis – in patients who have had prior antibiotic administration. Although studies have shown its usefulness in this context, it has been excluded from Figure 2 because, to the best of the author’s knowledge, this is not a commonly used test in Australia. The original diagnostic approach from Fournier et al. identified aetiology in 64.6% of cases, with the remainder being of unknown aetiology. BCNE represents a unique and interesting, although uncommon, clinical scenario. Knowledge of the common aetiologies and appropriate testing underpins the timely and effective diagnosis of this condition, which in turn modifies and directs treatment. This is especially important due to the high morbidity and mortality rate of endocarditis and the unique spectrum of aetiological organisms which may not be covered by empirical treatment. The author would like to thank Dr Adam Jenney and Dr Iain Abbott for their advice regarding this case. Raoult D, Sexton DJ. Culture negative endocarditis. In: UpToDate, Basow, DS (Ed), UpToDate, Waltham, MA, 2012. Fournier PE, Thuny F, Richet H, Lepidi H, Casalta JP, Arzouni JP, Maurin M, Célard M, Mainardi JL, Caus T, Collart F, Habib G, Raoult D. Comprehensive diagnostic strategy for blood culture negative endocarditis: a prospective study of 819 new cases. CID. 2010; 51(2):131-40. Lamas CC, Eykyn SJ. Blood culture negative endocarditis: analysis of 63 cases presenting over 25 years. Heart. 2003;89:258-62. Wallace SM, Walton BI, Kharbanda RK, Hardy R, Wilson AP, Swanton RH. Mortality from infective endocarditis: clinical predictors of outcome. Sexton DJ. Epidemiology, risk factors & microbiology of infective endocarditis. In: UpToDate, Basow, DS (Ed), UpToDate, Waltham, MA, 2012. Fournier PE, Marrie TJ, Raoult D. Diagnosis of Q Fever. J. Clin. Microbiol. 1998, 36(7):1823. Apstein MD, Schneider T. Whipple’s Disease. In: UpToDate, Basow, DS (Ed), UpToDate, Waltham, MA, 2012. Baum SG. Mycoplasma pneumonia infection in adults. In: UpToDate, Basow, DS (Ed), UpToDate, Waltham, MA, 2012. Pedro-Botet ML, Stout JE, Yu VL. Epidemiology and pathogenesis of Legionella infection. In: UpToDate, Basow, DS (Ed), UpToDate, Waltham, MA, 2012. Li JS, Sexton DJ, Mick N, Nettles R, Fowler VG Jr, Ryan T, Bashore T, Corey GR. Proposed modifications to the Duke criteria for the diagnosis of infective endocarditis. CID. 2000; 30:633-38. Muñoz P, Bouza E, Marín M, Alcalá L, Créixems MR, Valerio M, Pinto A. Heart Valves Should Not Be Routinely Cultured. J Clin Microbiol. 2008; 46(9):2897.